I recently moved to Texas and was introduced to Great Wolf Lodge by a few friends. 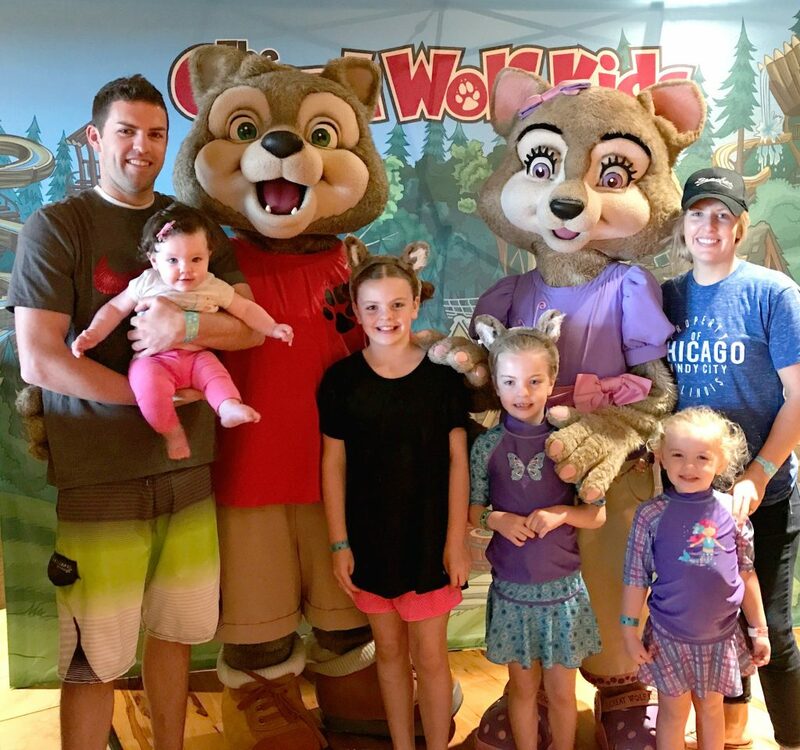 After hearing how amazing it was, my husband and I took our little family on a 3 day 2 night adventure to see what what Great Wolf Lodge was all about. I have to be honest. I haven’t had that much fun in a long time! My kids loved it, my husband loved it, and even my 4 month old baby did great because everything is so convenient and all in one place! On my Mother’s Day Cards, all three of my kids mentioned that I was the best Mom because we went to Great Wolf Lodge. ha ha! There are many Great Wolf Lodges through out the US. We went to the one in Grapevine, TX and are making plans to go to the one in Anaheim, CA in a few months. Our favorite thing there was the waterpark! But there are many other activities that are included in your stay. Our room was available at 4pm – but you could get there at 1pm and start swimming. Then checkout is at 11 – but you are welcome to stay at the waterpark until it closes at 9pm! There are showers and bathrooms available to you. It is huge. It is by far the best (and biggest) indoor water park I have ever been to. You can grab a raft and zip down Alberta Falls, the Howlin? Tornado literally will make you scream, or ride a wave in the wave pool with your family (this was my 4 year olds favorite). With over 80,000 square feet, awesome water slides, tons of pools, and a massive water fort tree house with a 1,000 gallon tipping bucket; their indoor water park resort will be a place your kids will never forget. Note: This is PERFECT for babies. Being in Texas it gets really hot in the summer, but the indoor park made it so easy! No sunscreen! There are many different suites that you can stay in! 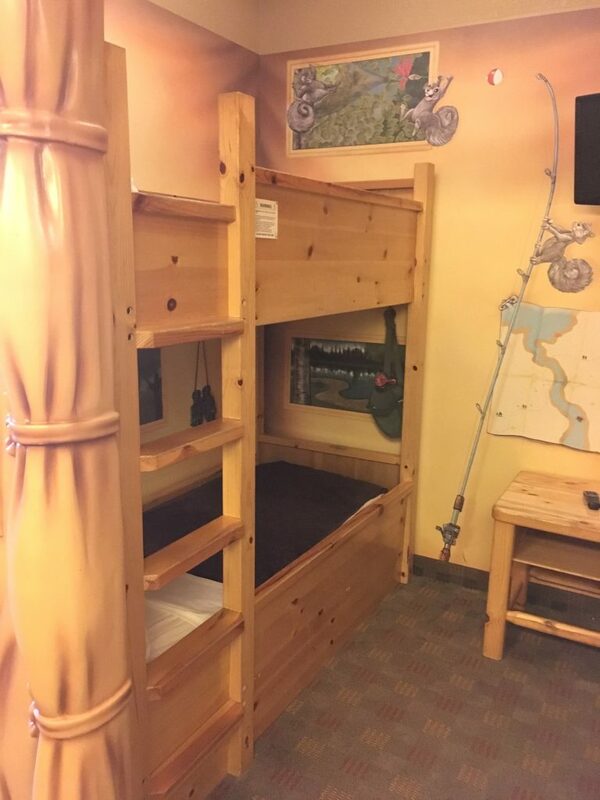 Some of them are themed rooms and have bunk beds like this one. Others are a little more simple. They have sleeping arrangements from a 4 person family to an 8 person family. Check out all the different suites HERE. 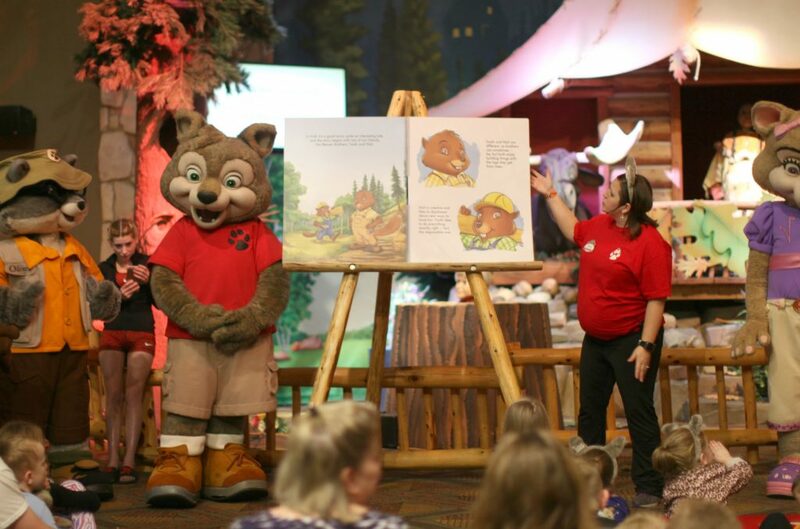 Throughout the day, Great Wolf Kids characters can be found throughout the lodge. They do dancing, pictures and will just hang out. Every morning, the GWL staff has lots of fun activities before the water park opens. We did a little bit of kid yoga one morning after breakfast. 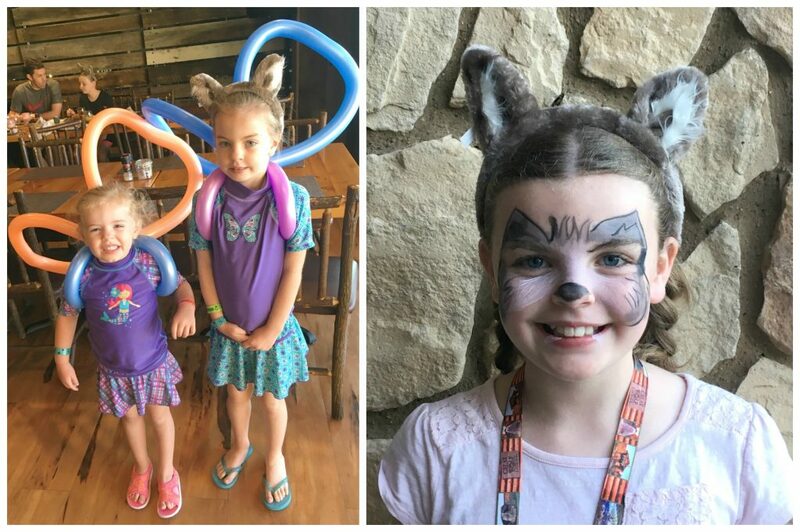 If you need a break from the water park they have lots of lunch time activities such as face painting, balloon animals, and much more! No day is complete without a bedtime story filled with our favorite Forest Friends. Enjoy the Great Clock Tower Show as the characters come to life to sing and tell stories. 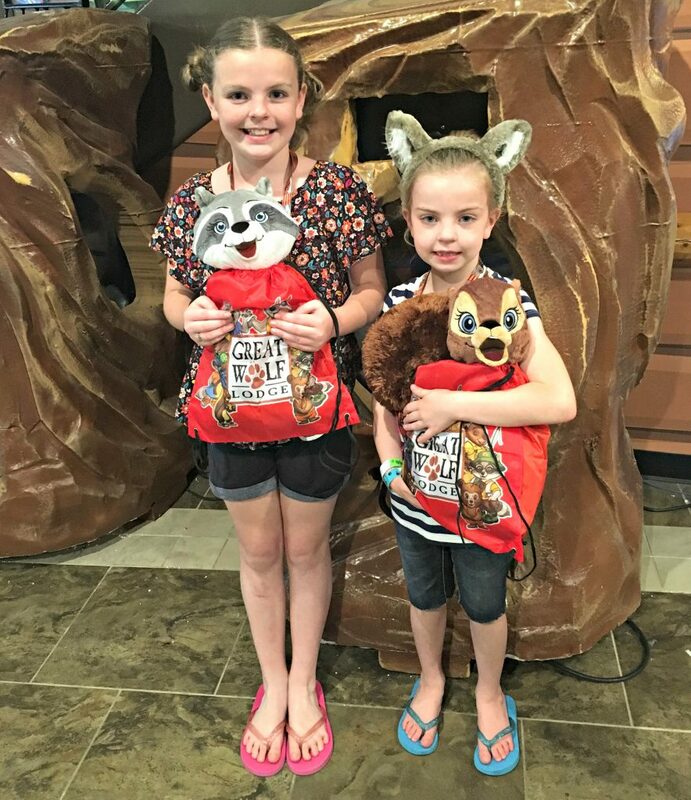 There are 7 places to eat, so you don’t have to leave Great Wolf Lodge! From Pizza at Hungry as a Wolf®, to a sit down buffet at The Loose MooseTM Cottage. Starbucks is among the restaurants so you can your favorite drink too. I just have to say, this is the BEST idea! 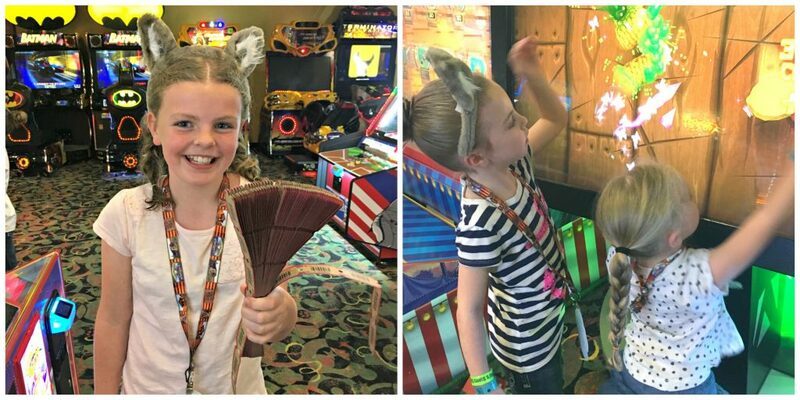 MagiQuest turns Great Wolf Lodge into your own personal playground. You get to choose a special magic wand, and set off on a quest. This is great for ages 6 to adults. Although my 4 year old got one and still loved it! It?s not just a movie; it is a 4-D thrill ride! You feel like you?re part of the movie as your motion-enhanced chair and other effects take place while you watch! They have shows perfect for little kids, teens and adults! My kids have never seen a bigger arcade (with over 100 games to play!) They were in heaven. They can earn tickets and win awesome prizes! Don’t worry Moms, they didn’t forget about you! ElementsTM Spa Salon – This is an adult spa that features massages, facial and body therapies, manicures, pedicures, waxing services and more. Scooops® Kid Spa – Your kids will be spoiled with ice cream-themed manicures, pedicures, facials and more. 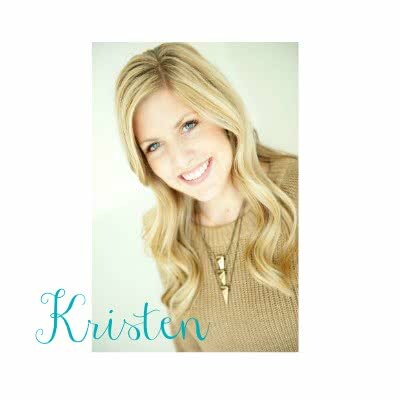 Give your kids a chance to create and keep their very own Great Wolf Kids character (It is like a Build A Bear). 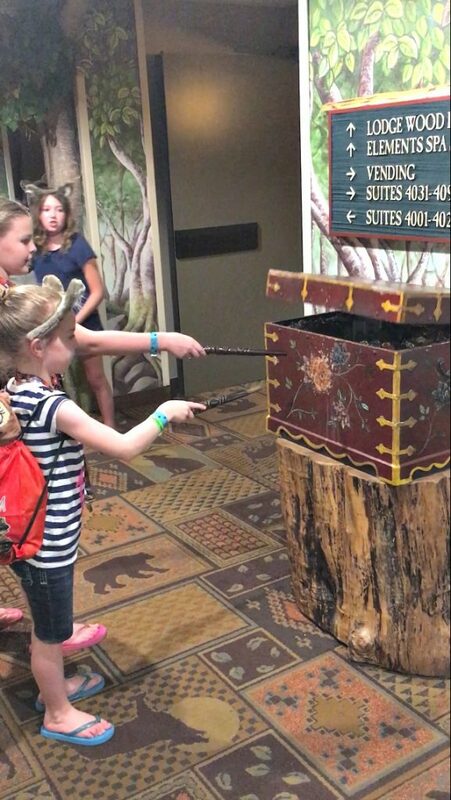 After creating your own Great Wolf Kids character, you can take it on an adventure throughout the lodge. The ropes corse is amazing! They have a little area for small kids and a big area I’d say from about 7 years old and up. They are connected with a harness and adults are allowed on there with them. 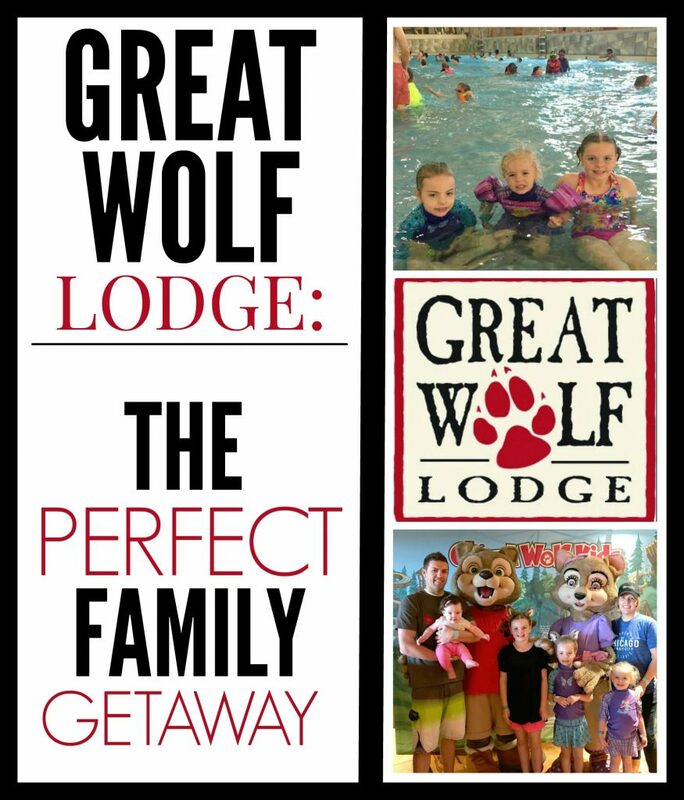 Also included in your Great Wolf Lodge stay is a free 8×8 Shutterfly book so you have a way of remember how much fun you had! My family and I were invited to a social media event at Great Wolf Lodge but all opinions are my own. Thanks for letting us share our experiences with you. They are building a GWL in my little Georgia enclave of Lagrange. I'm glad it is so awesome. It would be fun for us to have a little staycation. Now I'm getting excited for the grand opening some time next year!